Kahler Automation makes transloading more efficient, more accurate, and more profitable. Our systems control every aspect of the process — adjusting gates, running belts, engaging legs, monitoring hazards — while recording detailed product data in real-time. Your bulk materials get transferred fast, precisely, and efficiently, 24/7. Whether transferring product to and from truck, rail, or barge, our powerful software gives you complete control of the transloading process, integrating with your existing accounting software to deliver an easy solution to your facility’s needs. Kahler can also provide complete on-site truck traffic control, as well as extensive automation if your facility requires material storage management. Kahler Automation has been an industry leader in bulk material handling for more than 25 years. Everything we do furthers our mission of creating quality solutions through innovation and service, and we go the extra mile to ensure your facility maximizes its potential. When the best want the best... they choose Kahler. 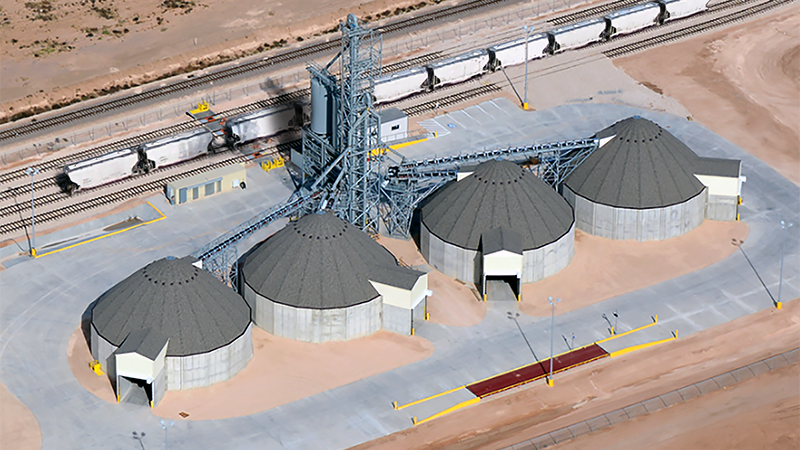 Terminal Management 2 is Kahler’s web-based software solution for bulk material facilities. Create, review and modify orders for each remote facility. Plant Supervisor 4 is our front-end suite for order staging and execution. Optional bill of ladings can be generated and printed. • Protect facility with critical monitoring for high temps, plugs, etc.